Please join us for the next Research Meet & Greet featuring Dr. Sheena Erete, assistant professor in the College of Computing and Digital Media at DePaul and co-director of the Technology for Social Good Research Design Lab. 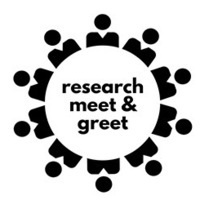 The Research Meet and Greet series is an opportunity for DePaul University faculty and staff to share and learn about research and creative projects going on across the university. Each event will include invited presentations and less formal, open mic style lightning talks. To sign up for the lightning talk, please use the form provided here. Coffee and refreshments to follow. As tech designers, it is common to approach work in resource-constrained communities with a deficit view, leading to simplistic and stigmatizing descriptions of these communities that often minimize or ignore institutional infrastructures that breed inequity. In our work, we design with residents in these communities by focusing on their assets, specifically the human, environmental, social and economic capital that can be levered in design. Sheena Erete will discuss how we can identify and leverage local assets in resource-constrained communities when designing technologies, practices and policies. She will present two projects which take an asset-based approach to understanding how neighborhoods use technology to address crime and how we design technologies to support violence prevention in Chicago.